Since being handed the reins of this upstanding blog...(It was given to us, Ms. James - and you can't prove it wasn't by your own choice, now can you? So stop your bellyachin' and let me proceed. )...we at DCDSU have prided ourselves with giving you the best instruction money can buy...(What do you mean we're not getting paid? I was sure there was something in my contract...)...whether it's our own original ideas or the ideas of others. Ms. Lysandra James, before she stepped down, began a most wonderful feature each month of either a Dragon Slayer or Dream Chaser. Being as that practice fits perfectly with our vision for DCDSU, we will continue doing it. Ms. James originally planned to feature the Dragon Slayer Sisters in a single post...(Foolish girl. I don't know what she was thinking! )...but doing so will result in one awfully long post. I have chosen to split it into multiple posts. You'll remember Ms. James featured a Ms. Briana Hoffman a couple of months ago in July. These darling and most able Dragon Slaying Sisters are her lovely daughters, Elena and Lily. This month, Elena's story will be told in part one of the Dragon Slayer Sisters. Lily will be featured in part two, which will be posted in November. All quotes and photos are from Ms. Briana's blog, used with permission by Ms. Briana Hoffman herself. And with no further ado, allow me to present the first of our Dragon Slayer Sisters - Miss Elena Hoffman! No mother should ever have to post that. In February of 2010, Briana started noticing pea-sized bruises on her daughter Elena's body - first on her legs, then her stomach and arms. With no other symptoms, she chalked them up to Elena being an active kid. After all, what two-year-old child doesn't have a bruise or two...dozen? However, a few weeks later, Elena developed a low fever. The bruises, which had never gone away, had multiplied. Over the next few days, she grew lethargic and pale. The day before Elena's diagnosis. 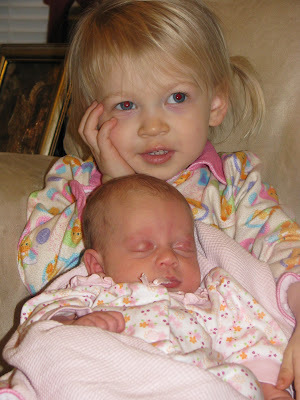 On March 18, 2010, after a difficult night, Briana made an appointment with their pediatrician for Lily, Elena's younger sister, to treat her for gas and stomach problems - Elena's addition to the appointment was merely an afterthought. For a lark, before the appointment, Briana looked up Elena's symptoms to make sure she wasn't overreacting. "The first link that popped up was for The National Cancer Institute's page on Childhood Acute Lymphoblastic Leukemia (ALL)." She read through the symptoms. They fit. She reread the symptoms. And again. It couldn't be. At the appointment later that afternoon, the pediatrician confirmed her suspicions. "We were admitted through the emergency department (ED) at Primary's. We actually stayed in the ED for quite a while. Elena got an IV, several blood tests, x-rays, blood transfusion, and some other tests done there. They told us they could have a preliminary diagnosis in a few hours. 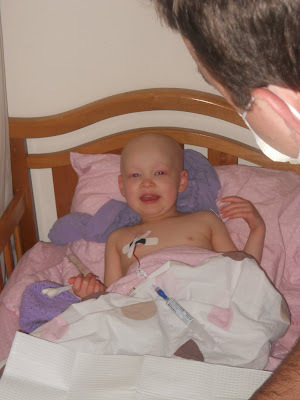 And they did - sometime that night (the hours all blurred together) they told us that her blood tests confirmed leukemia. They wouldn't know what type for a few days. This left us in agony - of the two major types of childhood leukemia, one has a 40-50% recovery rate and the other has an 80-90% recovery rate. The doctor who gave us the diagnosis told us a few more things: no known cause usually - leukemia just kind of strikes randomly, there aren't "stages" of leukemia like there are with other types of cancer - it wouldn't have mattered if we had brought her in two months ago - the treatment is the same. There was no room in the Immuno-Compromised Unit (ICS) that night, so they moved us up to the third floor for the night. "It was such an interesting day- so horrible. Our world was shattered in a matter of moments. But, it was also a day where I felt very loved - we have wonderful family and friends. And I felt the love of the Lord so intensely. I feel like he prepared me for that day. I know He was with us." Elena was diagnosed with acute lymphoblastic leukemia (ALL) with a survival rate of 80-90% - the best case scenario. Treatment typically includes three phases: remission induction, consolidation/intensification, and maintenance therapy. In remission induction, the first phase, the goal is to rapidly kill most tumor cells and achieve remission - less than 5% of leukemia blasts (immature white blood cells) in the bone marrow, normal blood cells, and absence of tumor cells in the blood as well as absence of any other signs or symptoms. This is usually achieved through chemotherapy, causing hair loss, nausea, and a variety of other symptoms. Consolidation/intensification is where they amp up the drugs to destroy any remaining leukemia cells in the body. On March 19, 2010 Elena had surgery to place her access port (to ease administration of the many drugs and medications) and started chemotherapy. The little family of Dragon Slayers stayed in Elena's room that week, fighting with all their hearts as she began treatment. 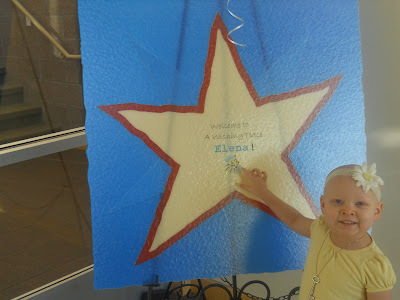 After that first week of testing and preparation for treatment, Elena was allowed to go home. She and her loving family returned to the hospital often for her treatments. 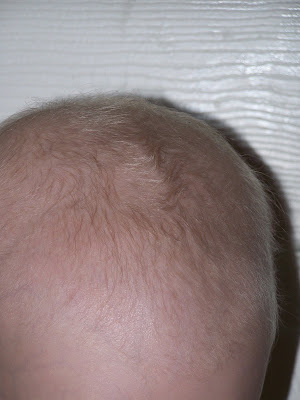 Two weeks into treatment, Elena's hair began falling out. Before. Taken minutes before the first clump of hair was pulled out. "Her hair would get really nappy in the hospital and I had just washed it and put it in pigtails. That last brushing must have been the final straw because within half an hour of that, she started pulling huge clumps of hair out. It was a little distressing to her at first - mostly I think, because of the steroids and how bad her mood was. She was pretty despondent. After a while it downgraded to just annoying. And finally, she didn't care at all." After. Two weeks later, only a few strands were left. They shaved what was left of her beautiful hair. "Her hair will probably start growing in slowly during the maintenance phase in about 6-8 more months. But it's kind of a "one step forward, two steps back process" because she will still be getting chemo once a month for 2 years after that. So, we're not expecting a full head of hair again until Kindergarten. We'll see. We love our brave little girl! She is so sweet. We were worried about how she would take losing her hair. But, she has done so well. Now, every once in a while she'll feel her head or go to brush her hair and then stop and say with a smile, "I don't have any hair!" It makes us laugh. Thank heavens she is a resilient little kid and not a self-conscious teenager - there is another blessing in the timing of this ordeal! And also, thank heavens for cute hats and bows! :)"
The little family became accustomed to what became their new normal, a normal they never imagined would be theirs. 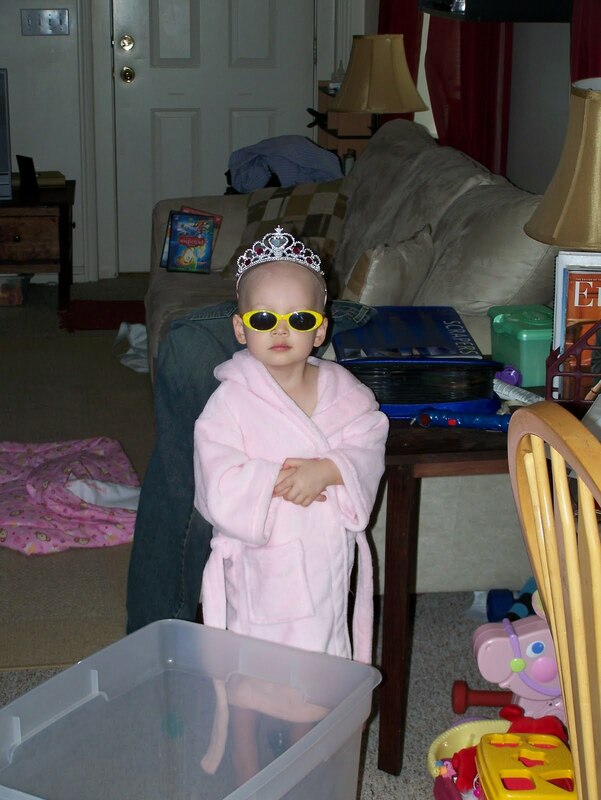 Despite it all, Elena never lost her unique sense of style. But life as an immuno-compromised child is a lonely one. No playgrounds, no friends if counts are down, no church, no stores. Elena became quiet and didn't try to enjoy herself anymore. "...I noticed her standing quietly on the other side of the tree from us, facing the playground equipment, staring at the kids playing. I watched her for a few minutes. She just stood there, silently and wistfully, watching the other kids playing. Then she began picking leaves off the branch she was holding, glancing up every few moments to watch the kids playing. It broke my heart to see her there. She didn't cry or ask to go play too, she didn't even try to sneakily inch her way closer to the playground, like she has in the past. She just watched and seemed resigned. It absolutely broke my heart." "Overall, she is doing superbly. She has responded well to all her treatments and this last round of chemo didn't hit her very hard. She was spared a lot of sickness and we are so grateful for that. We truly have been blessed. I could name a million different ways that we have seen the Lord's hand in our lives. She has been in between courses of chemo now for about 3 weeks. For the most part, the start of each course is count dependent (at least an ANC of 750 - basically they want the blood to build back up enough to survive another course of chemo drugs). It's been interesting to see how her appetite has come back while she's been off chemo. She hasn't been eating hardly anything for a while. All of a sudden, over the last couple of weeks, her appetite has come back with a vengeance. She scarfed her dinner last night (including seconds and thirds of just about everything) and then had about 5 hearty meals today. :) It's nice to see her eating well again." Friday, July 23rd, Briana expressed her gratitude to the amazing love and support Elena (and the rest of the family) received. "The kindness of people toward us since Elena was diagnosed has been truly incredible. I can't even begin to name each little thing and each person that has done something for us. We are truly blessed and have been so very, very touched by the love people have expressed... I could write a book about all the things they've done for us...There is so much good in this world. It is humbling to feel your love and the love of our Father in Heaven." The Dragon Slaying family continued to count their blessings, celebrating the little things in life. "She's got a good inch of hair now. The doctor told us that it will fall out again - probably in the next (really hard) round of chemo. Oh well. It's been a fun few months watching it grow back. And it gives me hope. Someday this will all be behind us - every trace." By the end of July, the Hoffman's received good news - Elena was technically in remission and responding well to treatments. In August, the end was in sight. "Today was the second to last round of chemo for the current course (Interim Maintenance). In ten days (pending good counts), we'll have the last dose of chemo for I.M. and then a two-week break and then on to Delayed Intensification - the last course before Maintenance...When we were in the hospital when Elena was diagnosed, I remember a doctor coming into our room one morning and talking us through the different courses of chemo. I can remember that she told us about Induction (the first phase) and that it was really awful and I can also remember her telling us that right before Maintenance, there was a phase called Delayed Intensification and it was also really, really hard. "Just forward. Onward and upward is the only option there is. So we'll do it for Elena. She's a fighter. How is one little three year old stronger than a couple of adults?" On Tuesday, September 21, Elena began the dreaded Delayed Intensification stage. "...day 3 of DI: things are going very well so far. We are being tremendously blessed. It appears that her bad steroid/chemo side effects are holding out long enough for me to get back on top of life. She hasn't transformed into that unrecognizable, angry shell of herself. Well, maybe I should say marshmallow of herself, rather than shell...It's still very early on and things will head south soon, but I feel so blessed that she's eased into it more this time. " A few days later, at a cancer awareness event at Chili's (where they donated 100% of their profits to St. Judes), the side effects were quite evident. "The steroids are finally starting to kick in. First, Elena screamed for macaroni and cheese and corn as soon as she saw the kids menu and then once the chips and salsa got there, she wouldn't eat anything else. She wouldn't even look at her macaroni or corn. But hey, that's how we roll when its steroid time. She ate her fair share of two baskets and then asked me to get more and proceeded to eat the better part of the whole third basket. 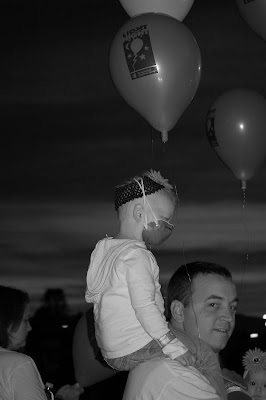 :)"
At a "Light the Night" event to raise funds for cancer awareness and a cure, Elena's support system showed their love. Despite feeling poorly, Elena joined in the walk riding astride her daddy's shoulders. The "Clinic" at Primary Children's Hospital became almost a second home for as often as they were there - sometimes eleven hours at a time. Receiving her chemotherapy through her port. Elena had the nurses wrapped around her little finger, often charming her way into extra treats to take home. "This particular visit was a "short" visit - only about two and a half hours. That is record time for us! The shortest it has ever been for us is four hours and it's usually more like five or six, plus two hours driving. The longest has been eleven hours - those are usually blood transfusion days or if there is a problem with the chemo they ordered. Thankfully those don't happen very often!" On Thursday, November 4th, Elena was able to go to the Wishing Place at the Make-a-Wish Foundation and picked out her one true wish - to meet a princess. Briana describes the experience beautifully here. 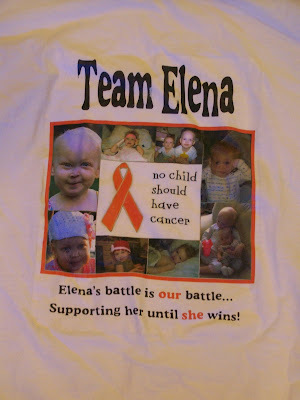 Thursday, November 18th, 2010, Elena received her last chemo treatment in Delayed Intensification. "She has done really well through DI. We had the expected crankiness (well less of that then we had with Induction - which was a huge plus! ), hair loss, overeating (that's an understatement), puffiness, extreme tiredness, etc. that comes with steroids. It took a bit to start, but when it did, she was pretty wiped out. 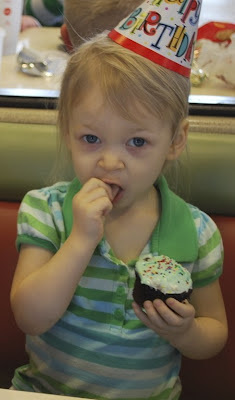 She also had very high blood pressure that we battled with for a month, but it finally came back down. We also think there may have been some damage to her heart muscle (a side effect of one of the chemos), but we haven't had an Echocardiogram yet to check. By the time we noticed symptoms, she had already had all three doses of that chemo and there was nothing that anyone could do. We'll see. The steroids took a long time to get out of her system. When they finally did, she had a few side effects from the new chemo (which have opposite side effects - loss of appetite, nausea, vomitting, etc.). She was sick a few times, lost her appetite almost completely, and was very, very tired. It was quite a shock to go from her eating everything she could get her hands on to eating next to nothing and sometimes nothing. But par for the course. She got her eighth and final dose of Oncaspar (the medicine that many kids have an allergic reaction to and then can't take anymore) last week! She made it all the way through with no allergic reactions and was able to finish that treatment - hooray! Another little miracle." Finally reaching such a huge milestone, the Dragon Slayers were both extremely grateful and in a state of disbelief. "Maintenance. It seems like Eric and I have to repeat to ourselves daily, "We are in Maintenance. Elena is in MAINTENANCE!" It seems like a dream to be at this point. Not that we're sure it's going to go like a dream, but that it seems unreal to actually be here. We were talking about something having to do with clinic and going to the hospital and we said, "Oh well, if we miss it this week, we can do it the next week." And then we stopped and said, "No we can't! We'll only be at the hospital once a month!" It's such a crazy thought. The basic deal is that Maintenance consists of 3 month courses repeated for a year and a half. She'll go to the hospital once a month for chemo there, take chemo orally at home every single day of Maintenance (and steroids for five days each month :(), and then have a lumbar puncture (back poke) once every three months." "It's official - THERE IS NO RELAPSE!!!!!!!" What an awesome Christmas present! 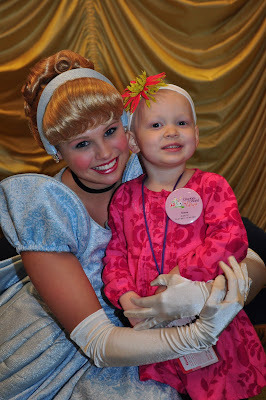 Elena's wish from Make-a-Wish was granted in January 2011 with a trip to Disney World. "Elena's Make A Wish trip was unbelievably fantastic. There were some bumps in the road - sickness (we have some sort of plague, I think) and steroids- but even with those minor setbacks, I would still say the trip was perfect. It was truly magical - like if you look in the dictionary now under the word "magical", I'm pretty sure you will find "Elena's Make A Wish trip" as one of the definitions. :)"
The end of January brought news that left them speechless. 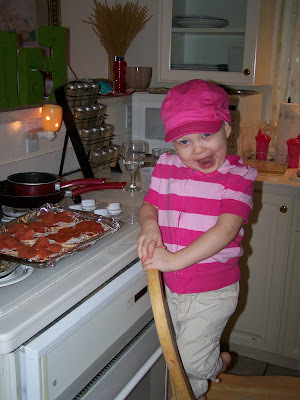 "We just got a phone call from Elena's oncologist telling us a new study (not the one Elena is on) had just finished up showing very favorable outcomes for kids with High Risk ALL (what Elena has) by adding in a new course. We're still a little sketchy on all the details, but it's kind of like a ramped up, tweaked Interim Maintenance repeat. It's two months long and they give the kids super, super high doses of Methotrexate (a chemo she's had consistently throughout her treatment - sometimes injected in her spine and sometimes orally) and keep them inpatient during that treatment, along with a few other medications and two lumbar punctures. "They want to give Elena this treatment. So, we are to stop Maintenance effective immediately - stop all chemo and let her counts rise high enough to start this new course. In one week, if her counts are high enough, she'll check into Primary's and start this new course. When she's finished, she'll go back to Maintenance. From what we've been told, the timing of Maintenance will be the same. Their end in sight was pushed further away, but given more hope of truly being an end. 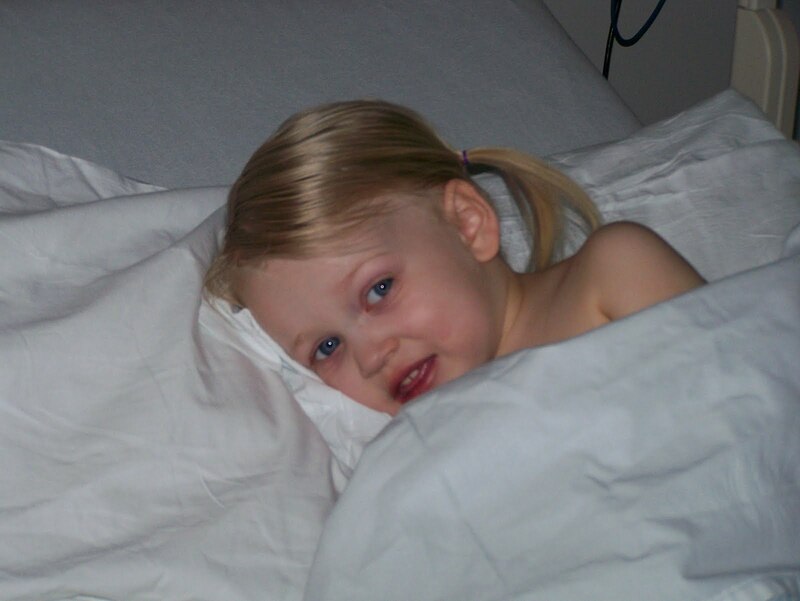 Elena began her first round of the new treatment - a hellish nightmare for a three-year-old little girl. 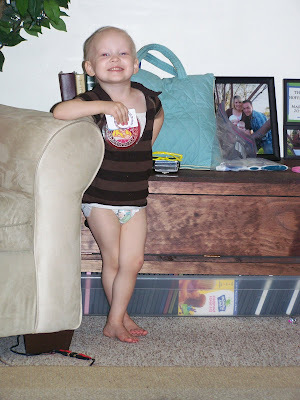 "There... a brief glimpse into the crazy mind of a paranoid, overly worried cancer parent. We are crazy. And should be feared in large numbers. 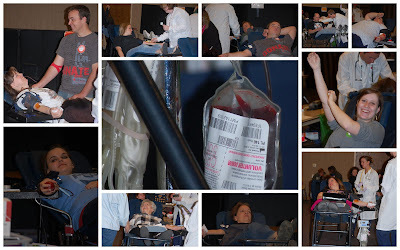 :)"
On Saturday, March 19th - a year and a day after Elena's diagnosis, the Dragon Slayer family held their first annual blood drive and service project to benefit Primary Children's Hospital. It was a project of love, soon called "Day of Hope" by friends and family. The name stuck. 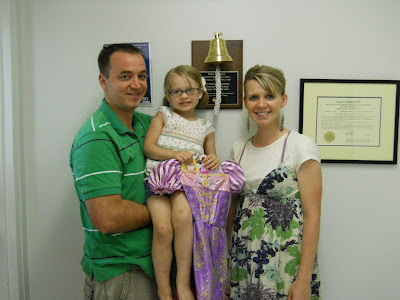 Mid-April, Elena completed her final round of high-dose treatment and went home. "We've had our hospital bag packed since the end of January. It is amazing to think that I can now unpack it for good and put the dang suitcase in the closet and out of sight." While a miserable experience, the benefits were well worth it - Elena's five-year relapse-free rate increased by 10% and three months of maintenance steroids could be skipped entirely. Elena - June 2011. 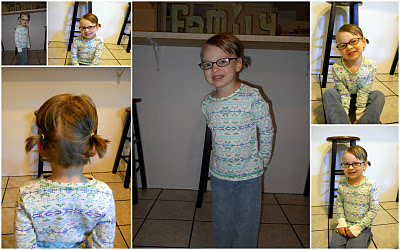 Check out those cute glasses! And a head full of hair! By September, Elena was doing so well, many people believed her to be done with all treatment. "There is this strange misconception/rumor floating around out there that Elena is done with treatment. More and more we run into someone at church who asks us "if we are so happy now that Elena's all done with chemo" or we'll hear an extended family member tell other family members that Elena has finished her all her treatments. Just to clear that up - NO, that is false. Elena is very much still receiving treatments for cancer and will continue to for almost another year. You could have just stopped by our house earlier this week when Elena was on steroids and heard the weeping and wailing and gnashing of teeth to know that. Or the frustrated sighs of her parents. Or Elena refusing a fun activity I had offered her and saying, "Mom, I'm only happy when I eat!" and then bursting into tears. She receives chemotherapy every single day, has a steroid pulse once a month, and goes to the hospital once a month for IV chemo and various procedures. She had a lumbar puncture with chemo injected in her spine last Thursday and then she threw up five times on Friday. We're still in it. You will know - without a doubt- when Elena is done with treatment. We'll be shouting it from the rooftops and partying for like two months straight." And in October, she celebrated her fourth birthday - something her family wondered if she would ever reach when she was first diagnosed. A few tear-inducing bumps in the road during Maintenance - including discovering Elena having Hypoglycemia - couldn't keep their spirits down. "Maintenance has not been bump free - I wouldn't exactly say it's smooth sailing - but it is such a refreshing break from the grind of the first year+ of treatment. Unless she's just had a treatment or is having a crazy reaction to a medicine (like this week), Elena feels SO much better in general. Being in maintenance and having her feel so much better has actually made us realize just how awful she felt most of the first 15ish months. The other great thing about maintenance is that Elena's counts also tend to be up more often and we get to go out and do a little more than we used to - which is fantastic! "Elena's basic treatment schedule in Maintenance goes something like this: clinic once a month where she gets IV chemo every time and every three months she gets a lumbar puncture for chemo in her spine. Then she takes various oral chemos (and other medicines) every single day of every single month and has a steroid pulse for five days each month. The basic goal of Maintenance is to continually give lower dose chemo -with a whammy every few months- to make sure to kill off every last little lurking leukemia cell. (Wow, that was some alliteration!) Research has shown that the prognosis is much better for ALL kids when chemo is continued long term to kill off any straggler cancerous cells and "reprogram" the bone marrow. It's funny because when I would read about Maintenance before we started it and saw that Elena would be on oral chemo every. single. day. for a year and a half, I was really bothered by it and I dreaded it. 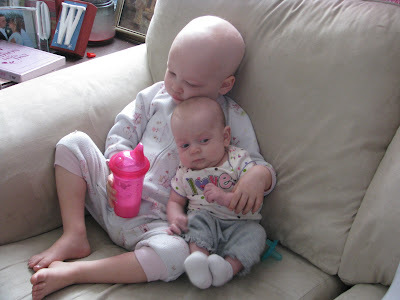 From what we had experienced up to that point, it seemed like insurmountable drudgery and torture to have to constantly be giving her chemo every day at home and deal with the side effects. Thankfully, it has turned out much better than I feared. Isn't that almost always the way? Her side effects have been very manageable and they are just a part of our everyday life. We hardly ever notice them. (Well, except during steroid pulses. We ALWAYS notice those, unfortunately. :)) I'll just sum up by saying that we have been blessed beyond measure and given strength to do what needs to be done. It has been incredibly humbling and amazing to see, but that is a topic for a whole separate post. We have felt and seen the effects of all of the prayers on our behalf- thank you." Elena's hair grew in beautifully. 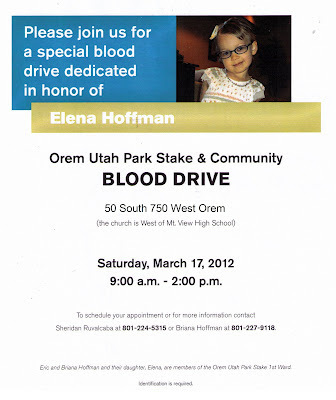 March brought the second anniversary of Elena's diagnosis...and the Hoffmans' second annual blood drive. It was a rousing success. "It was a good day. Service truly is healing. As wonderful as it is for the receivers, it is equally helpful to the giver. It felt SO good to be there. All of the melancholy and sadness of Friday was replaced with busy cheerfulness, hope, love, and a sense of accomplishing something really important. It also kind of felt like sticking it in the face to cancer. Like, I'm not just going to sit here and feel sad and let you run all over us. I'm going to do something to combat your evil ways, stupid cancer. :)"
The following month, the little family moved to Arizona. Soon after, they celebrated Elena's last lumbar puncture EVER. 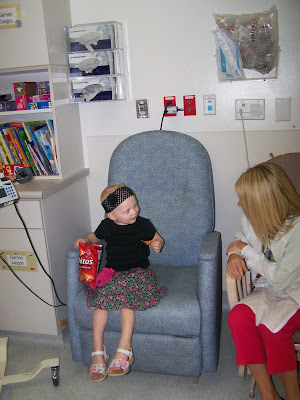 At the end of June 2012, Briana posted wonderful news - Elena was to have her last hospital chemo treatment EVER. And I'm on my way!" Then, on July 14th, she took her last oral chemo at home. "Elena is done with treatment. She's done with cancer. She doesn't have cancer. She had cancer. She beat it. She won. She is a survivor." Her access port was removed a few weeks later. 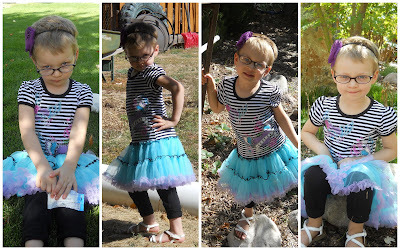 "In July, we celebrated TWO YEARS OFF TREATMENT!!! What on earth? Is that cool and amazing and hard to believe or what? She is doing fantastically well. Her risk of relapse is as low as it will ever be - she is well beyond the most risky stage for that. Anymore cancer would probably be considered a secondary cancer as a side effect of treatment from here on out. She still gets monitored every two months for long term effects and proper development and such, but she is doing very well. Her biggest scars at the moment are emotional and there are some hard days... poor girl. But we are so proud of her and grateful for where she is at. It is a miracle! 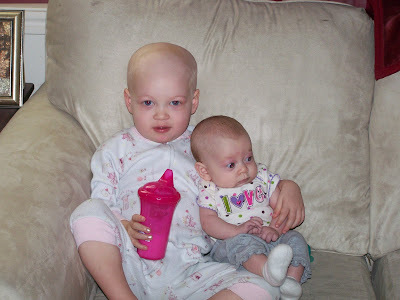 When she was diagnosed, we could hardly imagine being done with treatment period, let alone two years OFF treatment!" I'll leave you with one last thought Briana shared in the midst of Elena's struggle - one that brought tears to my eyes and touched my soul. "Cancer is a many-headed monster, I'm realizing as I talk to other cancer families and from my own experience. The realization hit me with renewed force yesterday as I talked with families of patients here in ICS. Cancer doesn't just threaten the patient's life and cause problems and sickness. That's one of many things it does. It really is like a tornado, destroying and wreaking havoc on everything in it's path. There are many hidden effects of cancer that most of the world doesn't see, except for the patient's family. It causes pain and sickness and suffering. It produces many sleepless nights, rivers of tears, and endless worrying and wondering. It throws schedules and routines out the window. It wreaks financial havoc - medical bills and care expenses pile up and families lose their homes, have to declare bankruptcy, and struggle to dig their way out from under a huge financial burden. And it turns families upside down - I've heard so many parents of children with cancer talk about how they didn't have much of a marriage while their child was in treatment, how husband and wife felt like ships passing in the night as they saw each other in passing when they took turns staying at the hospital or shuffling other children around to the babysitters. 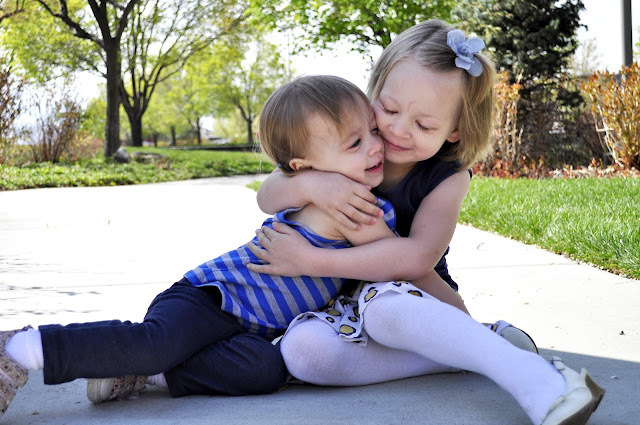 There are stories that would break your heart about siblings of cancer patients who need therapy, suffer from anxiety, who think that they are always sick, who resent their parents for not being around while they were at the hospital with the sick sibling. Cancer patients and parents of pediatric cancer patients suffer from post-traumatic stress disorder. Etc, etc, etc. Cancer really is a beast. You don't just get cancer and get sick and then either not make it or get better. It is a torrential storm that rips through every facet of a family's life- and they are left cleaning up the debris for a long time. Keep fighting, Dragon Slayer family. Keep strong.